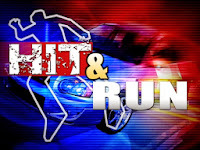 MAYS LANDING, NJ – An arrest has been made in the death of a women who was struck and killed early Saturday morning by the operator of a vehicle that left the scene of the accident, Acting Atlantic County Prosecutor Diane M. Ruberton announced today. On Saturday, August 27, 2016, at approximately 1:06 a.m., Egg Harbor Township Police Department received a 911 call in reference to two pedestrians (2) struck by a motor vehicle on the Black Horse Pike in the area of Fox Place in West Atlantic City. One pedestrian was subsequently pronounced deceased. While down in the roadway, one pedestrian was struck by a second vehicle that remained on location. The second victim’s injuries were not life threatening. The deceased victim has been identified as Nikita Petrecca, age 30 formerly of Quakertown, PA. The investigation determined that operator of the vehicle that left the scene is Anthony Colon, age 23 of Ventnor, NJ. An investigation by the Atlantic County Prosecutor’s Office Fatal Collisions Unit and the Egg Harbor Township Police Department led to the arrest of Colon. Colon is charged with: Causing Death while Suspended Driving (3rd degree), Endangering an Injured Victim (3rd degree), and Leaving the Scene of an Accident causing Death (2nd degree). Anthony Colon was arrested on 8/30/16 with assistance from the Atlantic City Police Department and lodged in the Atlantic County Justice Facility in lieu of $150,000 cash bail.